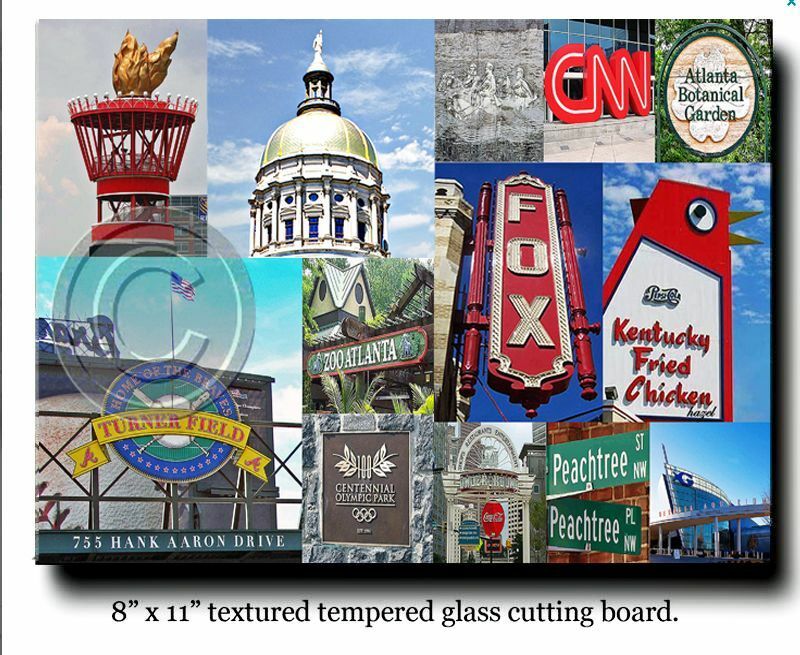 Atlanta Landmarks, Cheese board / Cutting Board, Click image for larger view. Spice up your kitchen with this high quality, tempered glass cutting board. Makes a great cheese board too. All images are from my collection of photographs. 8" x 11" textured, tempered glass. Rubber feet for stability. � WILL NOT APPEAR ON CUTTING BOARD.